*I received the products in this post free of charge for Mommy's Block Party holiday gift guide, all opinions are my own. Are you looking to find some awesome Scentsy products? If there's one thing I have been extremely interested in trying, it's Scentsy! Well, I got that opportunity with Scentsy by AmyLeigh and her scents are amazing! 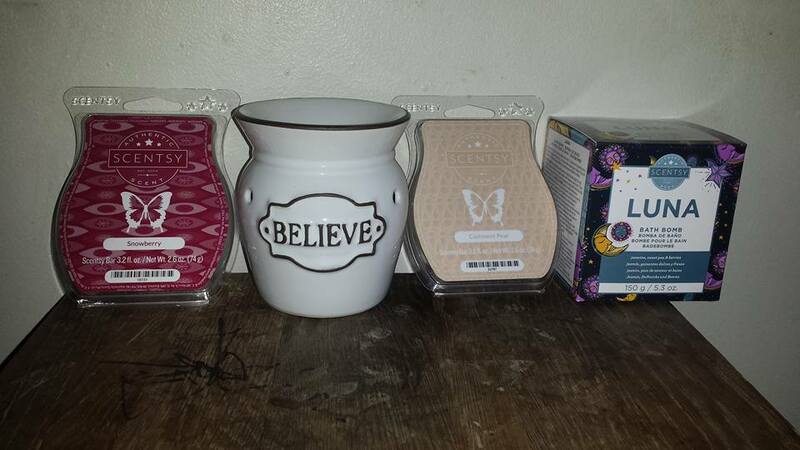 I received a beautiful Believe Mini Warmer that you can purchase for just $20 on her website! It's small of course, so it'll fit easily in your wall, to help start making your room, whichever one in your home smelling wonderful with whatever scent of Scentsy Bar you choose to buy with it. I love the scents that I received when it comes to the Scentsy Bars. The smell is strong, but not overbearing by any means. It'll make your room smell great! Black Raspberry Vanilla Scentsy Bar - You can purchase 1 for $6 or 2 for $11! This has always been my number one favorite scent in general and I love this even more, because it allows for my whole room to smell like it! Snowberry Scentsy Bar - You can purchase 1 for $6 or 2 for $11! This one is my second favorite scent and it'll have you wanting to buy more! These would all make great gifts for Christmas. Cashmere Pear Scentsy Bar - You can purchase 1 for $6 or 2 for $11! This is a great scent and will help freshen the air for any room. I received 5 products (4 are pictured) from her, and will be giving them to my sister for Christmas, but tried one of them out, in addition to the Luna bath bomb! 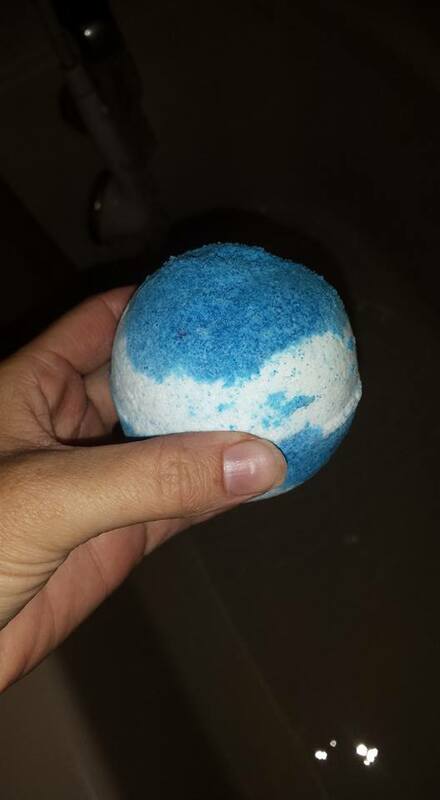 The Luna Bath Bomb I received is pictured below and I had never had a bath bomb before of any kind, but have been wanting to try one. This one smells AMAZING and is really neat. I love this product and plan to buy several to have more at home. 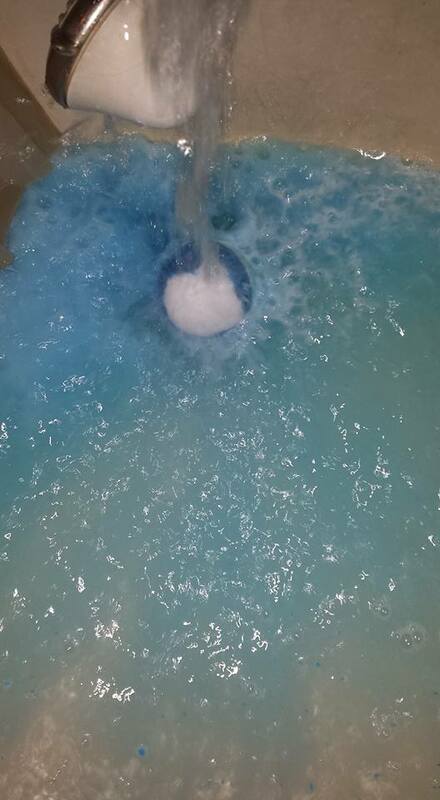 It makes your bath colorful, bubbly, and smells amazing, and is relaxing. Be sure to check out her shop and buy before Christmas for whoever is left on your list! These are great quality products and you will not be disappointed in your purchase. 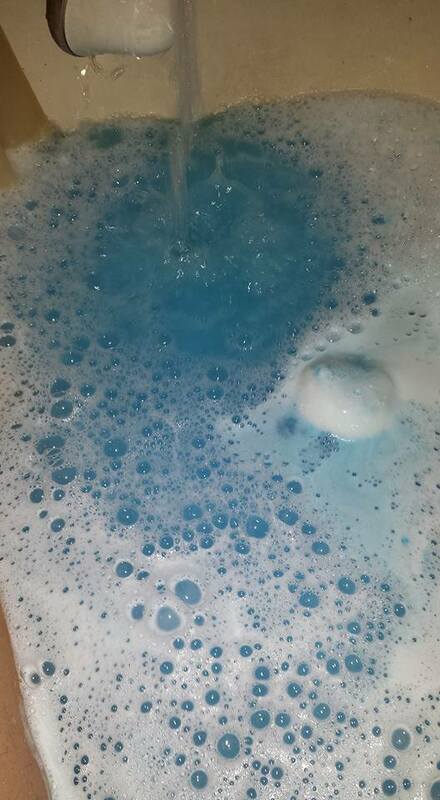 The bath bombs are amazing too, and would make for a great stocking stuffer too!